Buying a pair of Fatsharks as your first FPV goggles is not only an overkill but also a huge investment unless you consider 300USD as charity. 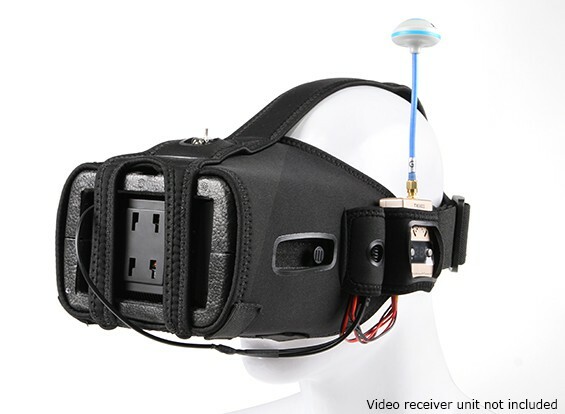 The Quanum DIY FPV Goggle Set is a fantastic budget option for anyone who wants an immersive experience without breaking the bank. 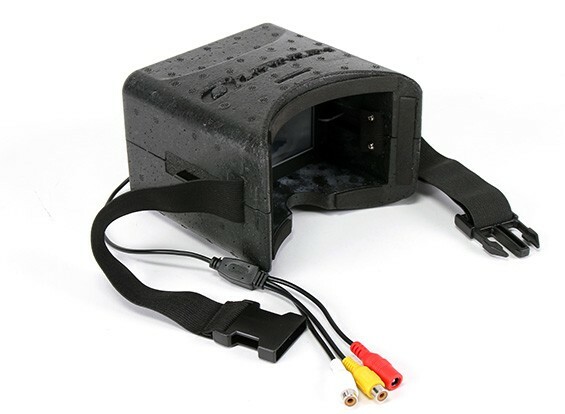 These goggles offer a wide field of view as it is essentially a box with a small LCD at the back. In between the LCD and your eyes, a large plastic lens amplifies the field of view which creates a warping effect on the edges of the screen. Some may find this annoying as this also makes the edges of the screen a little blurry. I choose to not install this. The custom 4.3-inch screen provides a non-blue screen but instead turns the video into ‘snowflakes’ , referred as static. This is helpful in situations when the signal is low . Instead of having the screen turn totally blue for a second or having flashes between a blue image and the video; it continues to play the video but fills in parts of the video that is missing with static. You won’t have a heart attack every time the video is gone. Moving onto to the important part, the screen itself. Behind the screen has, three little buttons; up, enter, and down. It has a few adjustments for contrast, colors, brightness, screen ratio, and language. The settings are pretty nice and fairly easy to configure while having the video signal connected. The screen provides a nice matte screen protector to prevent glare and reflections during use. The build quality is not that great unless you consider the price. 30USD is a great deal for the price and quality ratio. You will need to assemble the product yourself, which is very straight forward with the modular items it has provided. The only downside about the Quanum DIY FPV Goggle Set is it’s bulkiness .It is also not the best material to feel and have on your face. Although it does provide foam around the edges of the frame to rest on your face, having the screen on the other side causes pressure on the bottom of your cheeks. Some people choose to have the lipo battery and the video receiver in the frame itself. It will make your face feel very heavy and a word of advice – always try to cut down the weight. In conclusion, the Quanum DIY FPV Goggle Set is the best low budget goggles you can buy. With satisfactory performance, it allows you to fly FPV and won’t cause too much of a burden to use. These goggles or simply a monitor in a black box gets the job done. If you, however, think that field of view is your priority then this is basically a cheaper version of the HD Headplays. Also, with the Fatshark goggles, it is like sitting in the back row of a movie theater. Resolution and contrast can also play a huge part in image quality. Prior to investing in Fatshark HD3 goggles, I upgraded my quanums with a high contrast, high definition photography monitor, I moved the screen back 18mm to the outside with a balsa spacer to correct theb fresnel focal range required, and upgraded the fresnel lens with a $2 a4 3x magnifier sheet, trimmed to the full aperture size. i then added a curved padded aluminium headband running mohawk style over the top with the RX and battery at the back of this band to give great counterbalance, I added a tiny custom amplifier/speaker to the side of the quanum box, and the result is painfully good, painful because it blows away the $AU800 Fatsharks for image quality (colour, contrast and detail) display field of view, focus and cost, plus I can add any RX I like, the Fatsharks with trinity headtracker win on size, portability especially with inbuilt DVR, and .. well not much else. I would suggest at the very least, get 800×600 native screen resolution, else your fpv will resemble 1980’s sega graphics.